I got to become part of a fantastic triathlon team, and have had the immense privilege to become a brand ambassador to help me in the journey. 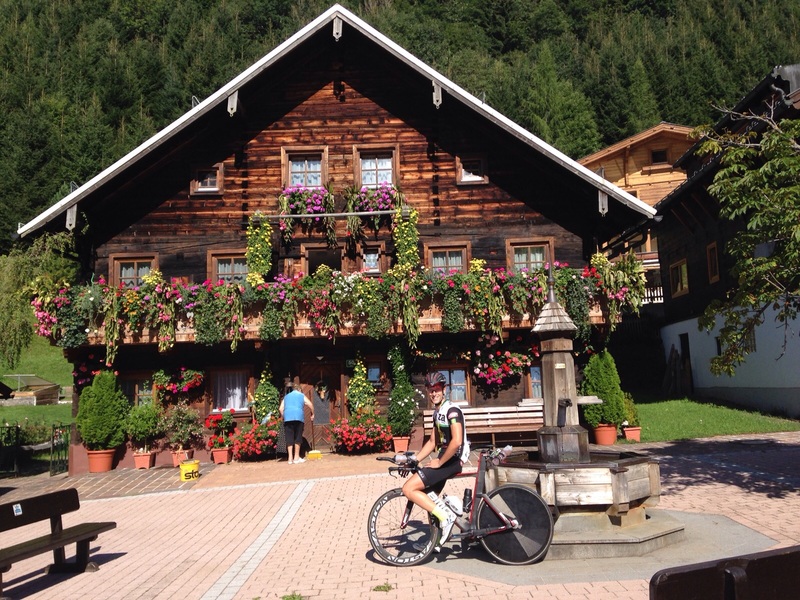 Zell-am-See wasn’t the easiest place to get to but it was definitely worth the trip. I believe the photos spoke for themselves. I was aiming for a personal best given where I thought my current fitness was and I thought it was possible on this course. The race itself started well for me: I had the swim time I was aiming for roughly and set off on the bike leg feeling good. I pushed hard at the start as agreed with my coach and managed to get over the climb slightly ahead of schedule. I started the climb a bit harder than expected and disregarded the power numbers I was reading, justifying it to myself “It’s the World Champs, FULL GAS!!!”. That meant my power output was a bit high at the top of the climb, but I knew this would be averaged out with the descent. The first 5k of the descent were even steeper than the climb and you could smell brakes on carbon wheels all the way! Clearly confirmed triathletes are not made for descending and I managed to overtake quite a few people on the way down, always nice. The rest of the bike went well despite cramps in my thighs around the 75th kilometre and I was still hopeful for a PB when I started running. Unfortunately it wasn’t to be as my breathing and stomach decided to play up. I couldn’t eat anything during the entire run and everytime I tried to push the pace I had to stop to get rid of stomach cramps. I very quickly realised today wasn’t a PB day, but decided to make the most of the atmosphere, seeing all my Singaporean friends and most importantly my family that was there to cheer me on. The finish time is good but not what I had trained so hard for, although I still managed to come 53rd in my age group. 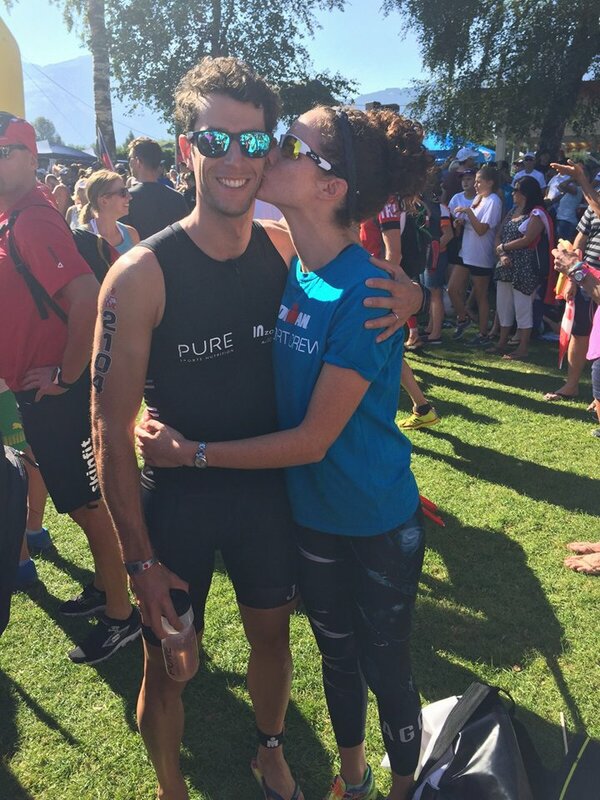 As my coach Arnaud​ said, great experience racing at such a high international level! So although the race didn’t go as planned, I had a fantastic time before, during and after the event. The location was stunning, the team spirit was fantastic and the support from my family and Nix in particular was out of this world. I doubt that a lot of people also managed to see their wife 9 times during the event! It felt like she was everywhere and that made me get through the tough run so much faster. Now onto some rest for me, some training for Nix’s next race and planning next year’s events! 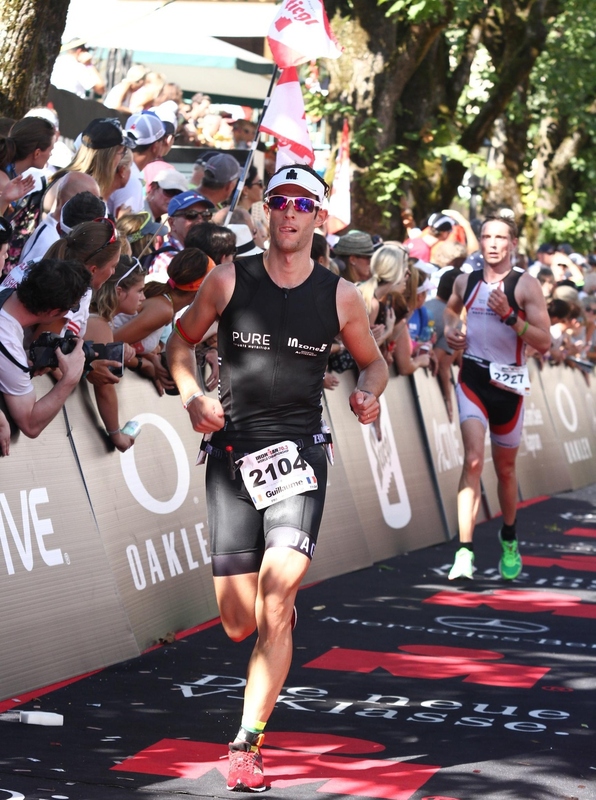 Last Sunday, the incomparable ‘King of Taupo,’ Cameron Brown, rolled back the years to clinch a record-breaking 11th IRONMAN New Zealand victory, while also improving on his own world record to become the oldest winner of an IRONMAN race. Approaching 43 he clocked 8hrs 22mins. Meanwhile, in the elite women’s race, American Meredith Kessler created her own slice of history by racking up her fourth race win and smash her own course record with a 9hr 05 mins time to become the most successful overseas women at IRONMAN New Zealand. Entries are still open for 2 great races. The Putrajaya 70.3 (south of KL) is on Sunday 5th April. The closest 70.3 to Singapore and a very testing race (also includes a 70.3 relay). For those who fancy a bit more sea and sand there is the inaugural Vietnam 70.3 on Sunday 10th May. Full Series of race dates are out for 2015 for this Singapore based series of races. 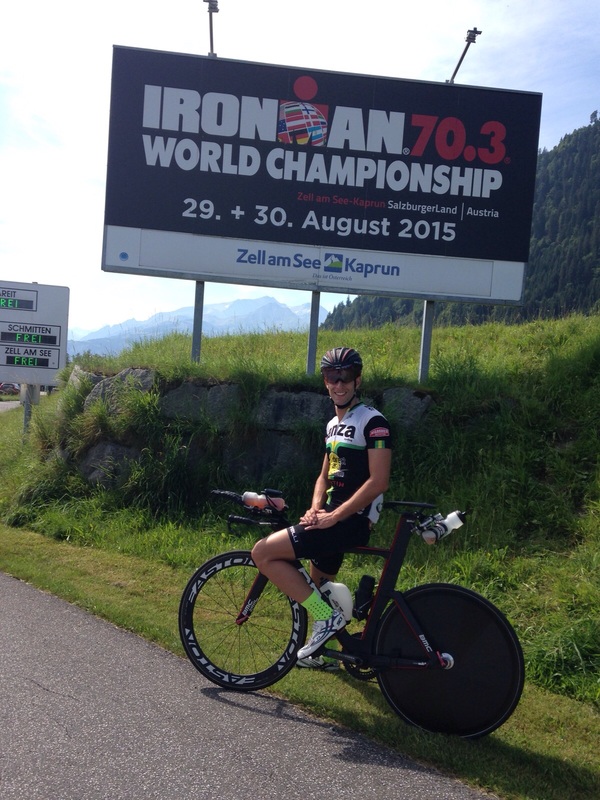 A great article for those of you who may be thinking about doing an ironman…. Full article in the link below. A stunning performance by Colin O’shea at last Sunday’s Aquathlon at Sentosa to take overall first place in a very competitive field. Colin did the 750m in an amazing 11 minutes and sprinted the 5k run in 19 min. Well done! Takes place this Sunday, 8th Feb at Palawan Beach, Sentosa. “Elites” commence the sprint with the wave off at 8:30am on the 750m swim/5k run course. Youth & Discovery distance start at 10:05 and the kids distance start at 10:50. Awards ceremony at 11:45. Good luck to all those participating and looking forward to seeing some ANZA podiums! Vietnam 70.3 – May 10. A new event which has generated a lot of interest. A great one to take the family to as well. Once again , ANZA cycling were well represented with some excellent performances. Race of the day coming from Roger Hastie who swam the 3.8k around the iconic jetty in 58 mins; biked the 180k course in 4hr 54mins and polished it off with a 3 hr 21 mins marathon. Incredible performance! That’s is pretty much the last big race of the year. Time for some R&R over the Christmas holidays…. 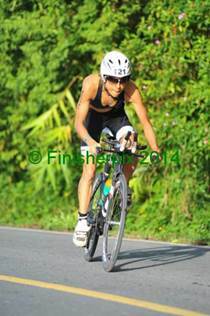 Swiss Olympian Ruedi Wild (4hr 02mins) produced a clockwork performance once again at last Sundays Challenge Laguna Phuket. Melissa Hauschildt (AUS) finished first female and led her fellow women athletes by more than 10 minutes. A field of about 550 individual pro and age group athletes representing 40 nationalities jumped into the waters of Bangtao Bay to tackle the 1.9km swim, followed by a 90km bike ride and a 21km run. 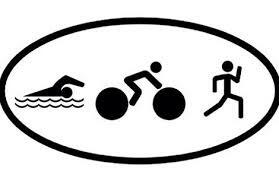 Good luck to all those taking part in this weekend’s Western Australia Ironman. Once again Phuket didn’t disappoint with a fantastic race. The sun was out and conditions were great for the unique 1.9k swim over 2 stretches of water; a pretty technical 50k bike ride which featured the infamous Naithon hills and then took a new route through some villages (and even through a prison! ); finishing off with a scorching run over the golf course and the Laguna estate. The mens title was taken jointly by Massimo Cigano and Alberto Casadei, both from Venice, Italy with a dead heat time of 2 hrs 33mins. Parys Edwards from Australia was the female winner in 2hrs 54mins. A sizeable contingent from Singapore made the trip up and we saw some great performances from ANZA members against a very strong field. Performance of the day goes to Vanessa Colless who won her age group and was 7th overall Female. The main event, of course, was the legendary Awards Party – it is expected that hangovers will be clearing up for those who plan to take part in the Challenge Phuket race this coming Sunday – good luck to those taking part. The inaugural race in Western Victoria, Australia saw Michael Raelert take the men’s win in 3hr 48mins and Melanie Mcquaid take the women’s honours in 4hrs 19mins.